The fifth novel in a series of novels that ties in to The Clone Wars TV series was published on this day back in 2010. 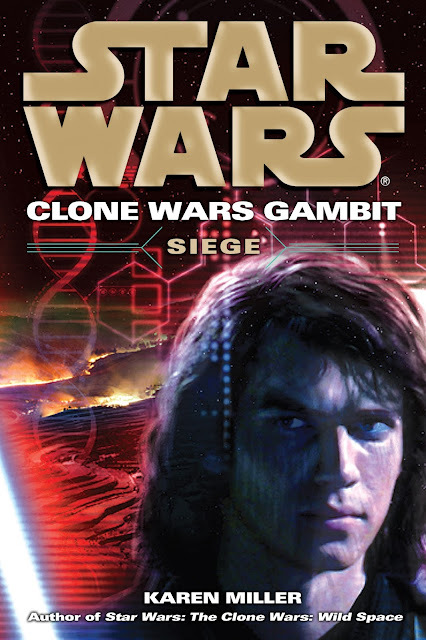 Clone Wars Gambit: Siege was written by Karen Miller and followed the story of Jedi Knights Anakin Skywalker and Obi-Wan Kenobi. The two Jedi snuck onto the planet Lanteeb - a planet with no strategic value in the Outer Rim but one enormous problem: it has been invaded by the Separatist Alliance. Lok Durd returns as an adversary to Generals Kenobi and Skywalker as the Jedi look to stay one step ahead and stop Durd's terrifying bioweapon before it becomes active. An audio version of the book was also made, which was narrated by Jeff Garner. What was your view on this Clone Wars book? Let us know in the comments below.